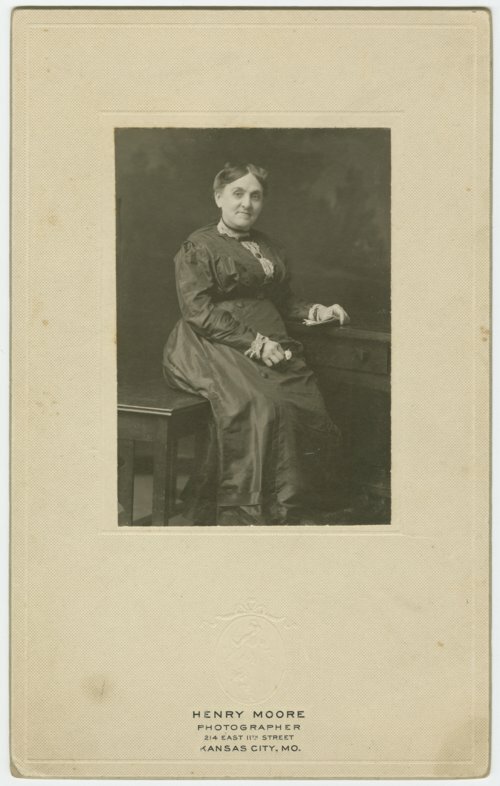 This is a photograph of Sarah Kline Pendleton, who resided in Kansas City, Kansas. She was the mother of Dr. Edward T. Pendleton, a successful physician who practiced in Wellsville, Kansas. Her step-brothers were J. D. Botkin, who ran for Kansas governor in 1908, and J. T. Botkin, who served as assistant secretary of state.